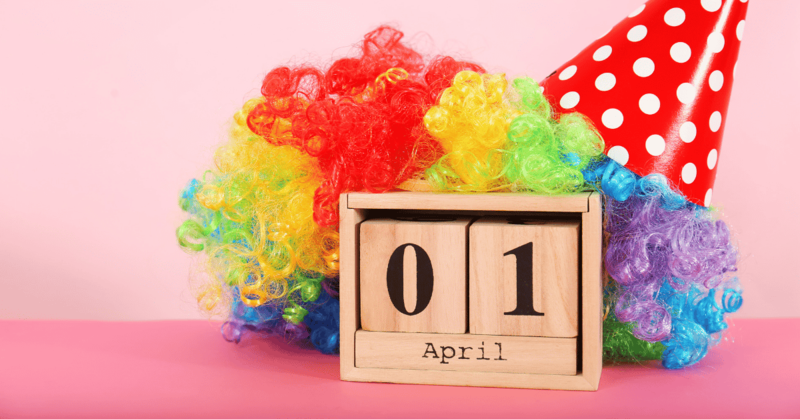 While not an official holiday along the lines of Valentine’s Day or St. Patrick’s Day, April Fools’ Day is still a great opportunity for marketers to get creative and send emails that will capture consumers’ attention and stand out in the inbox. For example, Redbox (the movie rental kiosk company) recently sent a memorable April Fools’ Day email campaign that announced its latest rental experience—just for pets! As extra detail, the email creative even highlighted some pet-related movies titles, and included a custom hashtag, #Petbox. Clicking on any part of the email took recipients to a custom landing page where the campaign was revealed to be an April Fools’ Day joke. How can you create an April Fool’s email campaign? First, commit to the process and make it as effective as possible by brainstorming with team members, developing a winning strategy, and exploring new ideas. This is the fun part of process and can generate many creative ideas. At the same time, you should be careful in how far you take it. Consider your company’s brand, culture, and overall risk appetite. If you think your executive team would not approve of a prank email, especially if it misses the mark, you may want to err on the side of creating a safe, less edgy April Fools’ Day email. A retailer recently attempted an April Fools’ Day prank that … well, let’s just say it didn’t go as expected. This brand wanted to creatively celebrate April Fools’ Day and even put a special discount in its customers’ hands. It created an email with a subject line that read, “Thanks for your order!” and inside included an image that appeared to show a receipt of purchased items. Recipients had to look a little closer to see that the headline read, “Your Receipt from the Future,” and realize that this was actually a discount coupon. Unfortunately, as clever as this email was, it required too much work from its audience. Also, with so many data breaches, identity theft, and fraud, many recipients thought that their credit card information had been stolen, or even that forgotten items in an abandoned shopping cart may have been ordered after the fact. When it comes to creating memorable, engaging email experiences, surprising your customers and prospects is the goal. Confusing or irritating them … not so much. If you’re looking for even more holiday-related tips and best practices, for any holiday, download our Holiday LookBook today.